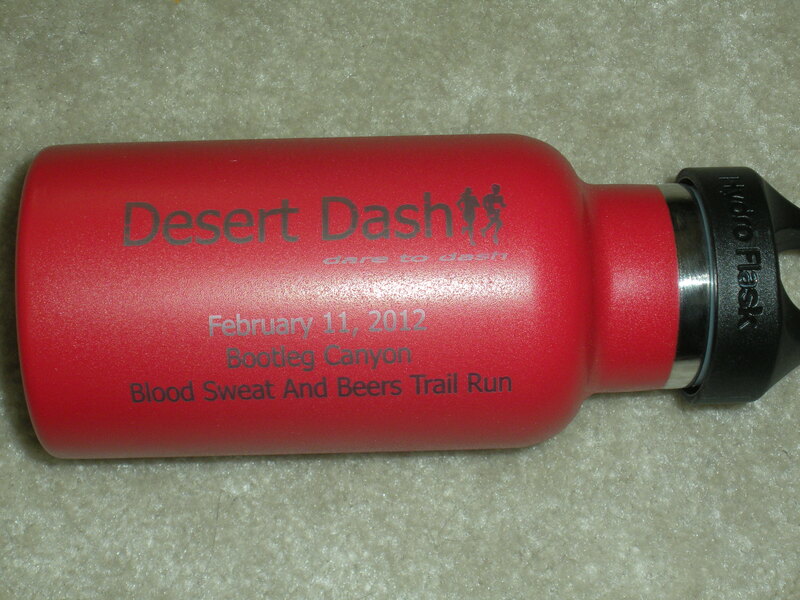 For my first running event of 2012, I chose Desert Dash‘s Blood, Sweat and Beers trail run in Boulder City, Nevada. 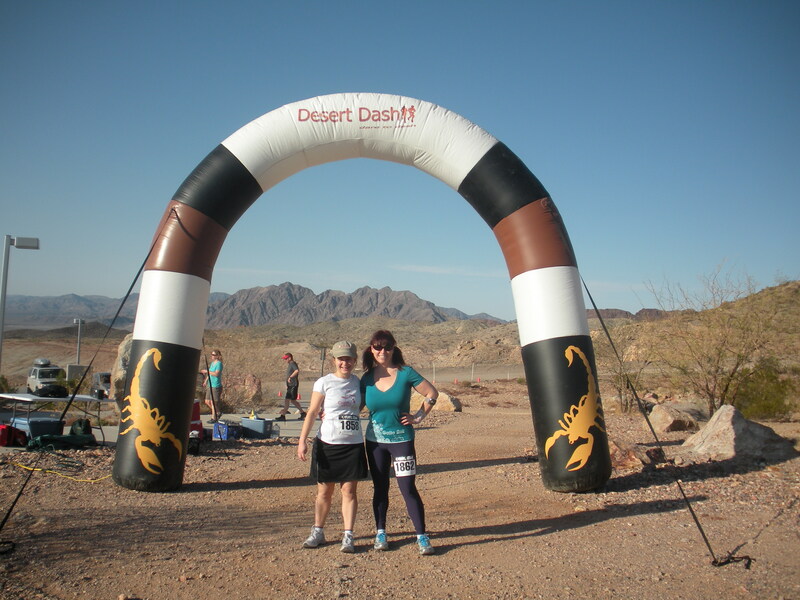 Glenn and Dana, who run Desert Dash, are big supporters of Girls on the Run of Las Vegas and helped our fledgling organization with last year’s inaugural 5k. 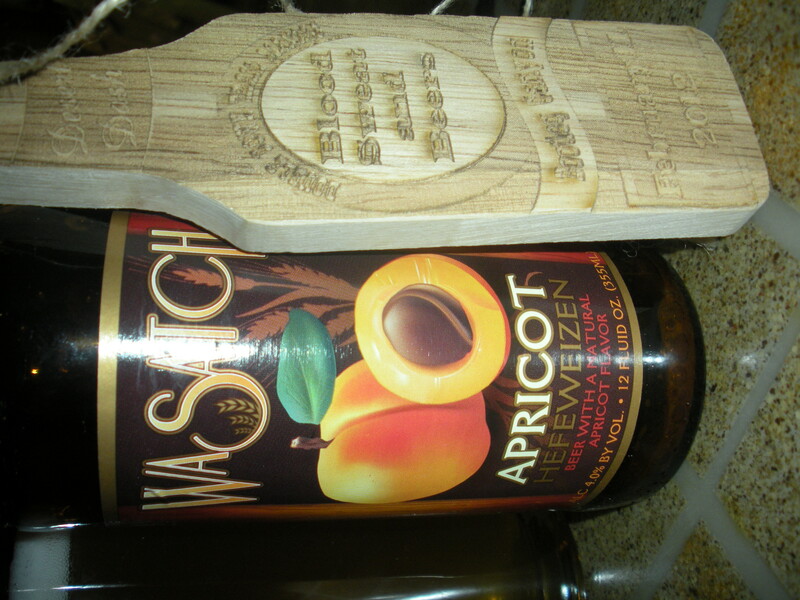 In general, I am a huge fan of smaller races and the Blood, Sweat and Beers run posed a new and interesting challenge. Runners could opt for a 10k, half-marathon or 30k race in the morning, a 5k, 10k, half-marathon or 30k in the evening, or do races in both the morning and the evening. 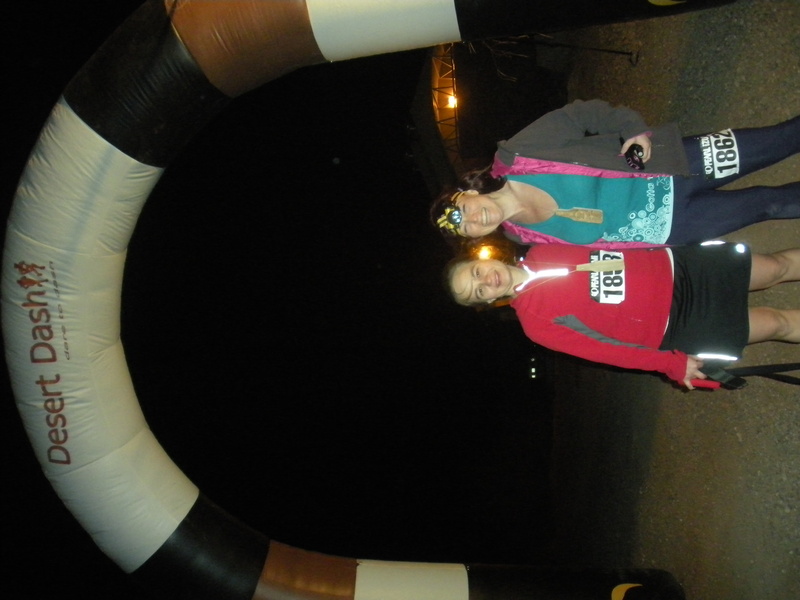 Of course, my friend Elisabeth and I chose to do the latter, deciding to do both morning and evening 10k runs. 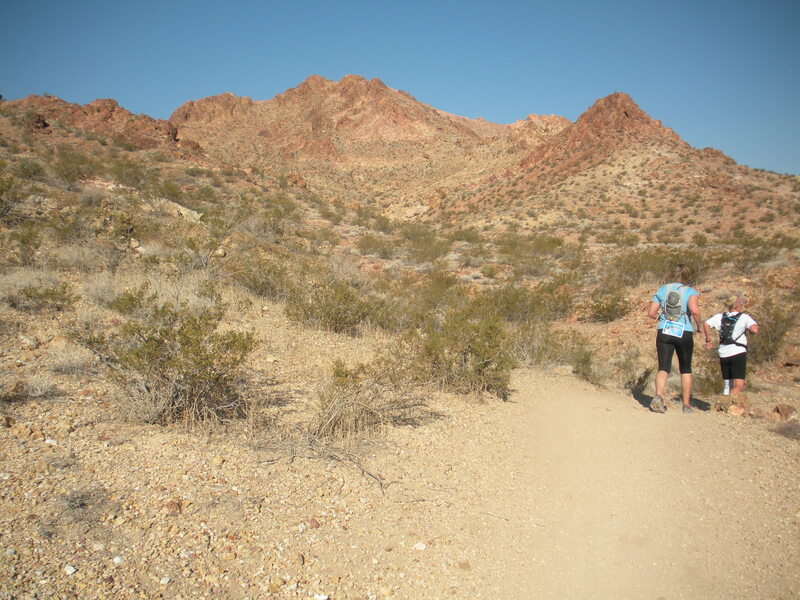 Bootleg Canyon Park, located about 45 minutes south of Las Vegas, is mostly known as a world-class mountain biking destination. 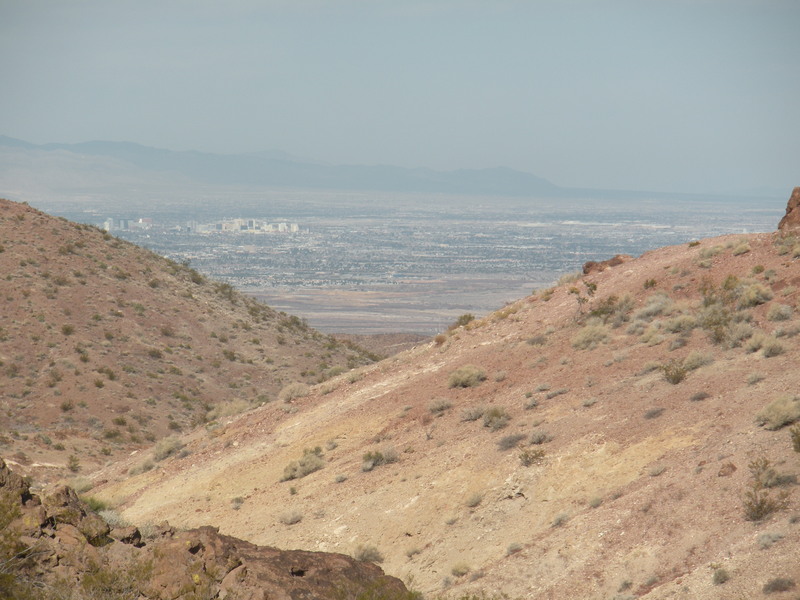 There’s also a zip-line and hiking trails. I should note that I haven’t run on a trail since high school cross country (over 15 years ago) and I’ve only run a race in the dark once before. 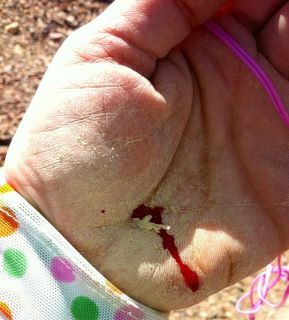 The trail was pretty tough with about an 800 foot elevation gain within the first 2 miles and some rock scrambling. I almost fell several times and Elisabeth wasn’t so lucky toward the finish line. 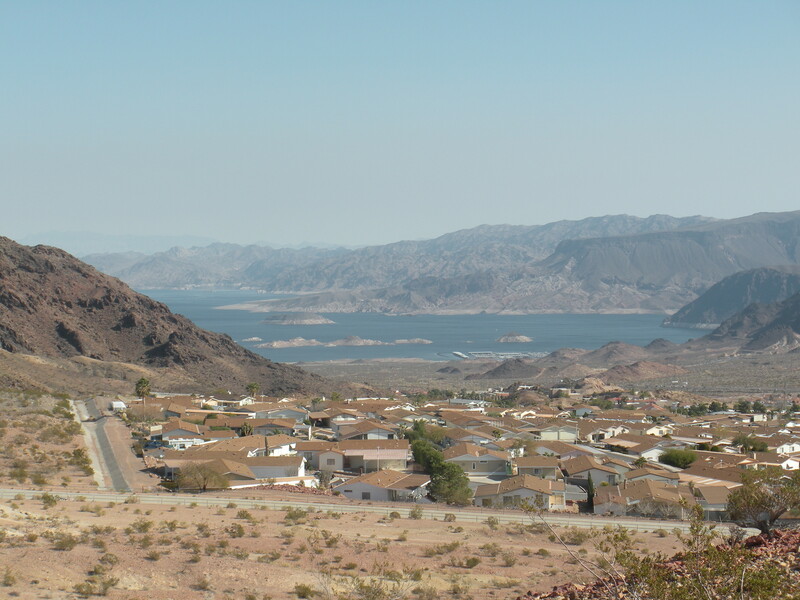 But the scenery was absolutely stunning with fabulous desert landscape and views of Las Vegas, the town of Boulder City and Lake Mead along the way. Unfortunately, we didn’t see any Bighorn Sheep, but there are plenty throughout the park. Here are some of the best photos from the daytime trail run. 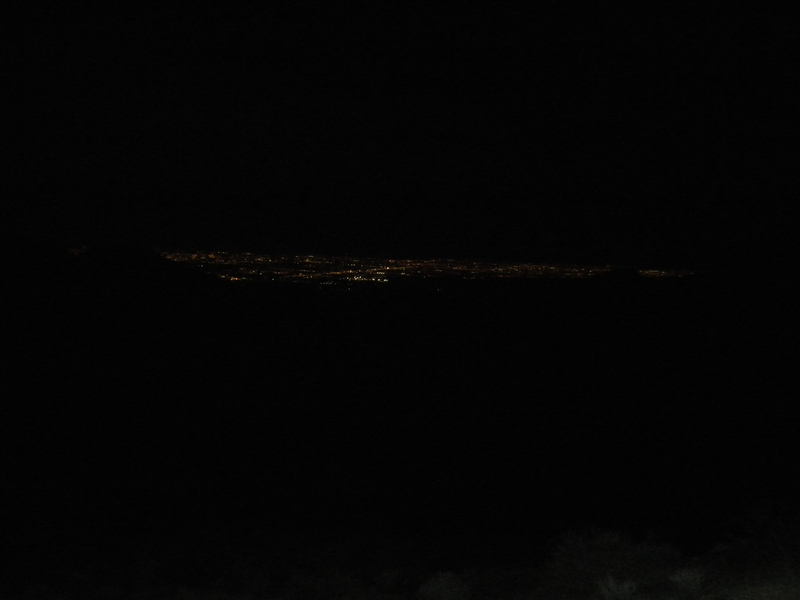 For the evening, we decided to walk/hike most of the race, largely because it was so dark and we were nervous of our footing. Everyone was required to wear either a headlamp or carry a flashlight to navigate the pitch-black course. 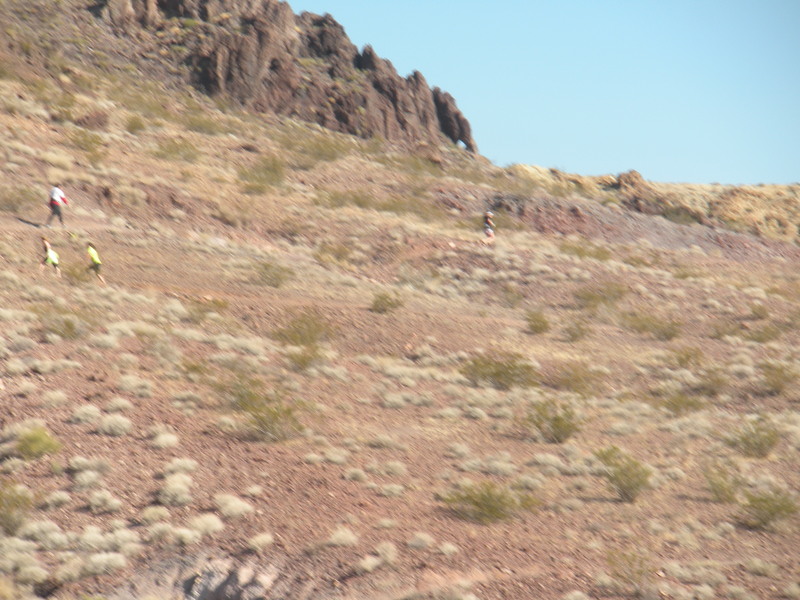 The below picture shows the brightest part of the course. 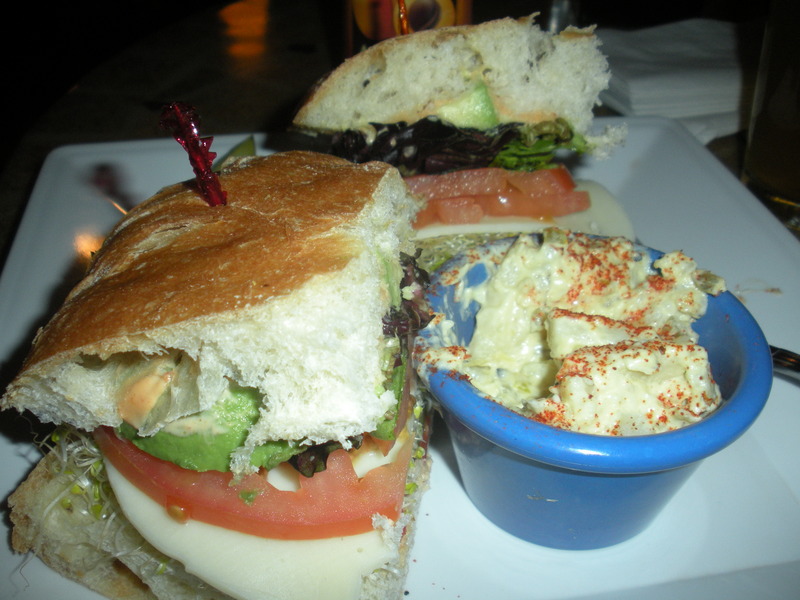 Then we headed down the mountain for celebratory beers and dinner at Milo’s Cellar in Boulder City — a Wasatch Apricot Hefeweizen and a southwestern vegetarian sandwich. I gobbled everything up, an easy feat after 12 miles. 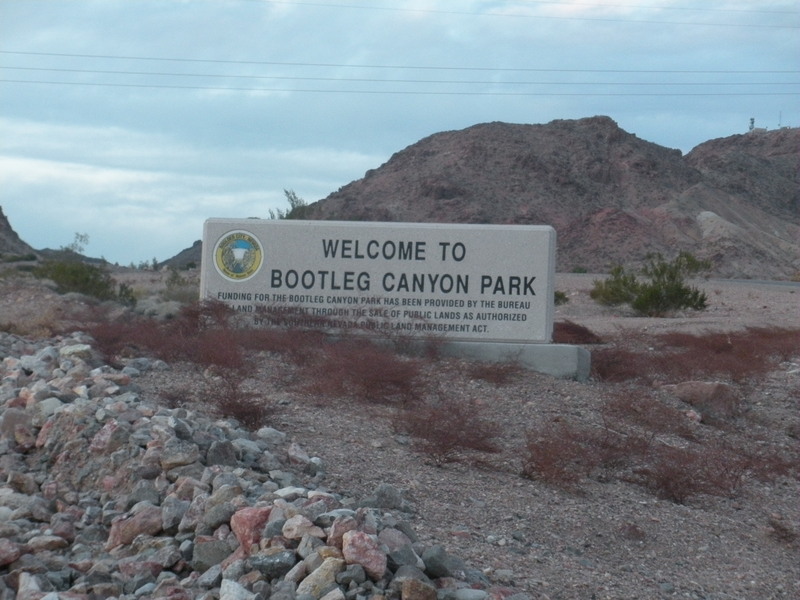 This entry was posted in Uncategorized and tagged beer, Bootleg Canyon, Boulder City, Nevada, races, Running, trail running. Bookmark the permalink.